It’s a moment that was years in the making, and for some Houstonians, a moment that means so much more than words on any page could convey. 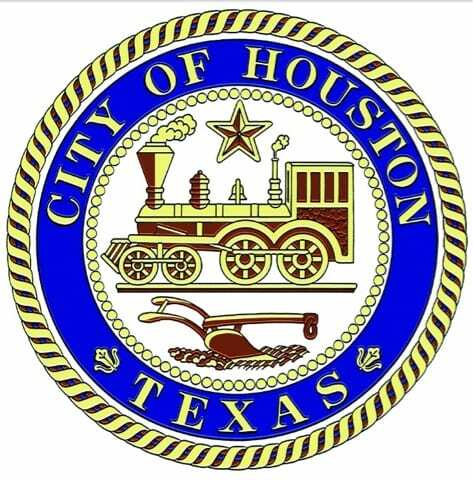 The silent, and often private struggles of discrimination have long been endorsed by the city of Houston… an endorsement via inaction and refusal to address those who are oppressed. But on May 28th 2014, that endorsement of discrimination ended in the Bayou City, as Houston City Council has passed a comprehensive, non-discrimination ordinance. Known now as the Houston Equal Rights Ordinance, it passed Council by a vote of 11 to 6. Both sides argued passionately for and against H.E.R.O., though many questioned how much of the opposition’s argument was based in factual information. Speaker after speaker gave eerily similar scenarios that all revolved around some imaginary figure in a bathroom waiting for the opportunity to molest a child. But in the end, this vast cloud of falsehood did not win out, and the city took an important step forward to protect all of its citizens. From a political standpoint, many see the passage of H.E.R.O. as “a victory for the Mayor” or a victory for her base, being the LGBT community. I don’t see it that way, but instead this is a victory for everyone in the city of Houston. A city that seeks to protect all of its citizens is a city that is safer for all. Ask anyone in the LGBT community… it takes real courage to live as an out individual. Just like someone who goes around hating openly gay people… there’s a strong possibility that the person initiating the hatred is gay themselves, but haven’t found the strength to deal with their internal feelings. They lash out against others because of fear of themselves. Laws like H.E.R.O. get rid of that fear by helping to create an environment where that person can walk their individual journey in a healthier way. They are less likely to lash out… less likely to cause any harm to others. By standing up for equal protection, Houston is sending a message that we care about everyone’s safety. As I wrote in an earlier post, Annise Parker has accomplished much as Mayor of the City of Houston. In 4 short years, she has shepherded historic growth and prosperity for the city and region… tackling a host of problems her predecessors were too scared to face. But one has to believe that she was uniquely skilled for this moment in time. Parker will be long remembered for her bravery and expert strategy to get the ordinance through. Because of her leadership, we are a better city today than we were yesterday, and 2.2 million Texans have a home where discrimination is no longer acceptable. Transgriot, Brains and Eggs and Off the Kuff have more. 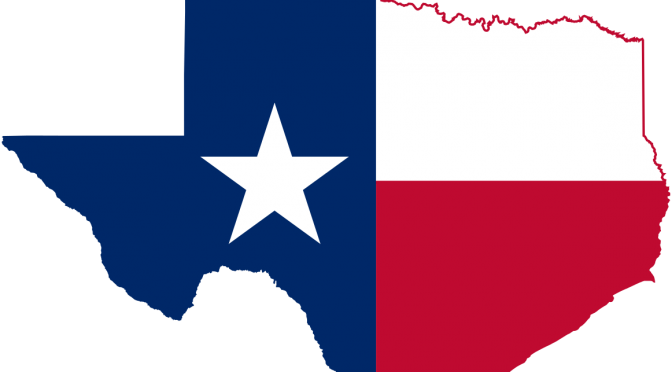 Now that the state of Texas has completed state runoff elections, residents of the Lone Star State now have a set ballot for this November. Among the top races, State Senator Dan Patrick handily won the GOP’s nomination for Lieutenant Governor over current office-holder David Dewhurst, and will go on to face Democratic standard-bearer Leticia Van de Putte this fall. State Senator Ken Paxton bested Dan Branch for the GOP nod in the Attorney General’s race, while Sid Miller grabbed the nod for Agriculture Commissioner over fellow State Rep Tommy Merritt. The runoff election, with its low turnout on a rather damp weather day for much of the state, was a decisive victory for Tea Party forces. David Alameel easily defeated LaRouche Democrat Kesha Rogers in the US Senate Primary, and now faces Republican incumbent Jon Cornyn in November. 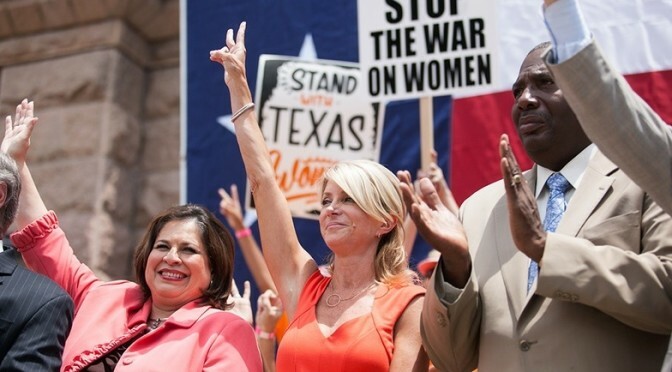 The Texas Republican Party has a girl problem. A glance down the list of GOP nominees set after Tuesday’s runoffs makes it look as if U.S. Rep. Kay Granger of Fort Worth has signed up for shop class. She is the lone woman among the 50 congressional, statewide and top judicial Republican candidates. In a year when the marquee races for governor and lieutenant governor will feature Democrats Wendy Davis and Leticia Van de Putte, the Grand Old Party looks like it’s going stag. And Fritsch is a staunch conservative who was challenging Greg Abbott for the nomination for governor. State party chairman Steve Munisteri said he’s noticed. Some would say that it’s fitting for the GOP slate to match it’s extreme preferences for the past in both optics and policy. This overly white, overly male ticket may be just what the doctor ordered to encourage a new electorate in Texas. 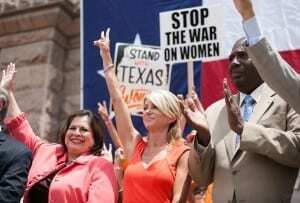 Women and minorities show noticeable prominence on the Democratic side of the aisle, and no one should be surprised that they are the ones talking about the issues that matter to most Texans… jobs, healthcare for families and the educational future of the Lone Star State. Of course with limited resources, whose to say if Davis, Van de Putte, Railroad Commissioner candidate Steve Brown or any of the other Democrats can break through the long-held GOP glass ceiling. But one thing is for sure… with all Primaries in the rear-view mirror, it’s time to try. 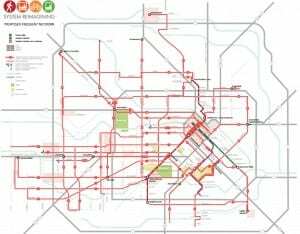 After the big announcement earlier this month, the Metropolitan Transit Authority of Harris County, Texas is ready to move to the next major phase in its System Re-imagining plan. METRO has released it’s schedule of public meetings to gather input about the proposed system changes. 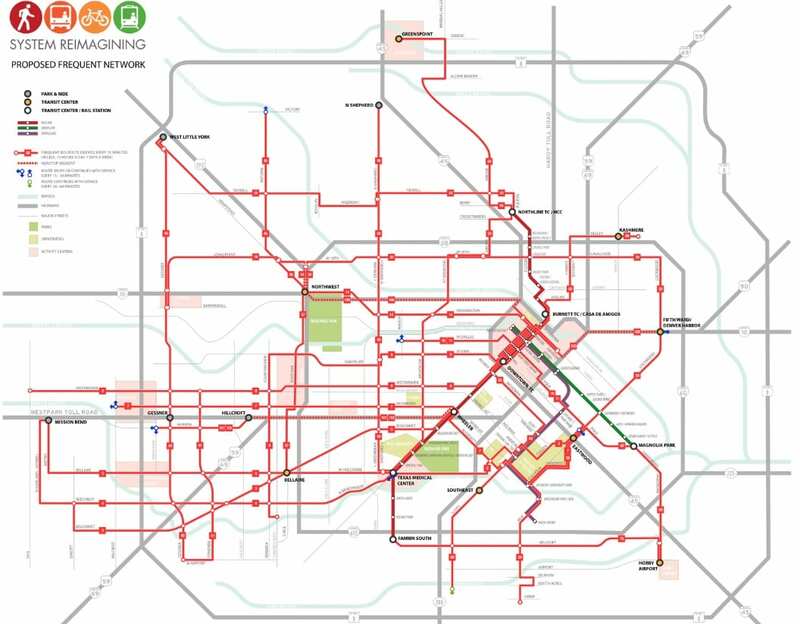 METRO is excited to share the Draft Reimagined Network Plan with everyone, so if you would like a speaker to present the plan to your organization or community group, or have a question about the plan, please email Reimagining@RideMETRO.org. We will also be conducting a series of public meetings to share more information and receive feedback on the Draft Reimagined Network Plan. May 28 — Magnolia Multi-Service Center, 7037 Capitol St.
May 29 —Metropolitan Multi-Service Center, 1475 W. Gray St.
June 3 —Ellis Memorial Church of Christ, 412 Massachusetts St.
June 12 — Trini Menenhall Sosa Community Center, 1414 Wirt Rd. June 16 — HCC – Northwest College (Spring Branch Campus), 1010 W. Sam Houston Pkwy. N.
June 19 — HCC – Southwest College (Alief Hayes Campus), 2811 Hayes Rd. June 26 — Baker-Ripley Neighborhood Center, 6500 Rookin St.
July 9 — White Oak Conference Center, 7603 Antoine Dr.
July 10 — Hiram Clarke Multi-Service Center, 3810 W. Fuqua St.
July 15 — Westbury Baptist Church, 10425 Hillcroft St.
July 20 — Third Ward Multi-Service Center, 3611 Ennis St.
July 21 — Sunnyside Multi-Service Center, 4605 Wilmington St.
July 22 — Mangum-Howell Center, 2500 Frick Rd. July 24 — Northeast Multi-Service Center, 9720 Spaulding St.
July 28 — Acres Homes Multi-Service Center, 6719 W. Montgomery Rd. July 31 — Kashmere Multi-Service Center, 4802 Lockwood Dr.
Hopefully community members, especially those that most depend on METRO’s services, will make it to one of these meetings, have their voices heard. and allow METRO to address some of the concerns that have arisen with the new plan. CouldBeTrue of South Texas Chisme is wondering what the outside audit of ES&S voting machine results in Hidalgo County will show. But those impressions couldn’t be further from the truth, as there is lots of ugliness going on within the walls of this congregation. 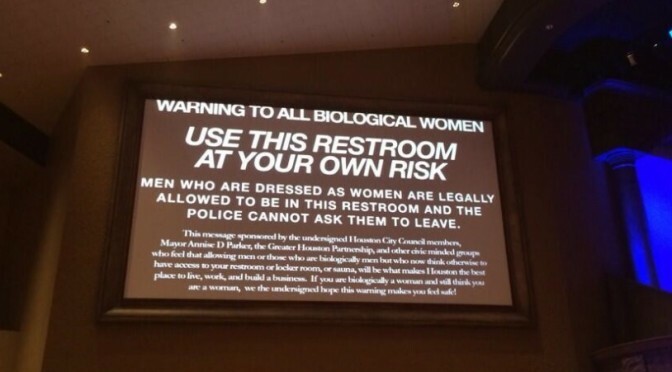 Local political activist Kris Banks decided to attend a rally at Grace for those against the Houston Equal Rights Ordinance, and what he found there was pretty awful. Banks says many in the crowd openly laughed when transgender people were mentioned, and some even called the community an “abomination”. Well clearly after statements like the one above, there’s no further mystery about how Kubosh plans to vote. On a personal note, I never voted for Kubosh or supported his campaign, but was willing to attend the town hall and hope that he would be open-minded on these issues. I was dead wrong. But just in case he or anyone else needs a reminder, here’s an audio clip of Kubosh’s meeting with the LGBT community. He sure didn’t tell us that God sent him to defeat equality. In the state of Texas, the options for Democratic politicians are somewhat limited, especially if said persons have aspirations towards a national-level office. The overwhelming majority of Presidents or Vice Presidents are chosen from the pool of Governors, or Senators. Democrats in the Lone Star State haven’t been able to break into statewide office in 20 years. No access to statewide office typically means no ability to enter the national arena. President Obama is preparing to nominate Mayor Julián Castro of San Antonio as his new secretary of housing and urban development, elevating one of his party’s Hispanic rising stars as part of a cabinet shuffle that has possible implications for the 2016 presidential race, Democrats informed about the plans said on Saturday. 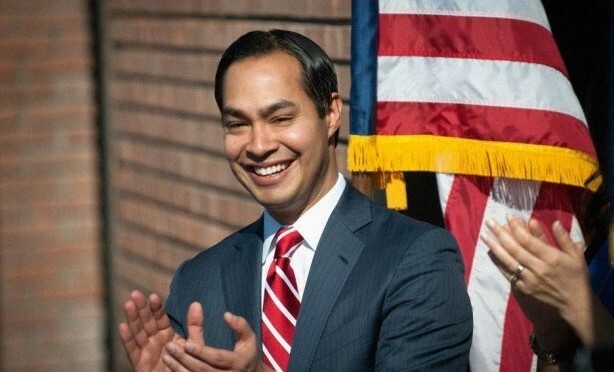 Mr. Castro, who has often been mentioned as a potential vice-presidential candidate for the Democrats, would take the place of Shaun Donovan, who is to become director of the Office of Management and Budget. That job is being vacated by Sylvia Mathews Burwell, whom Mr. Obama tapped to be secretary of health and human services and who seems headed to Senate confirmation. A cabinet-level position definitely has its advantages, even over winning a statewide election. For one thing, you get to leave electoral politics behind, and focus on affecting real policy changes. A big reason why Hillary Clinton is viewed so positively today is because she hasn’t had to run for office since 2008. A White House post will afford Mr. Castro the same opportunity. There’s been no official announcement yet, but most predict it’s only a matter of weeks. 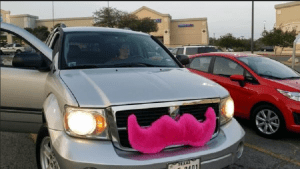 Houston Cabbies Harassing Lyft Drivers? 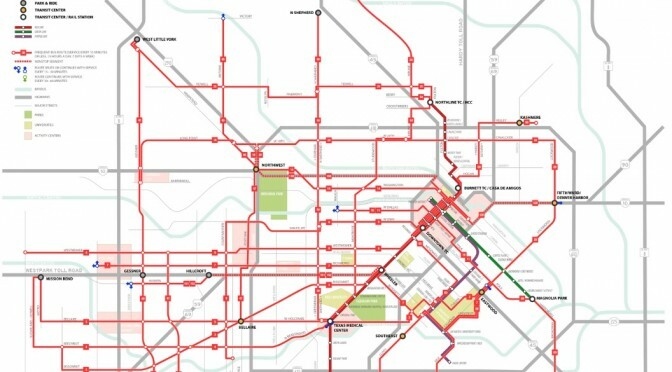 A fierce battle has been raging around City Hall, as Houston tries to decide a major piece of the city’s transportation future. Upstart ride-share companies Uber and Lyft appeared in the Houston Market last February, and in a very short time have begun to challenge the city’s traditional taxicab services. As Texpatriate states, these ride-share groups have done much to strong arm their way into the market, even when it means openly breaking the law. The Houston Chronicle reports that local taxi companies (i.e., the Greater Houston Transportation Company) have sued Uber and Lyft in Federal Court, alleging that the ridesharing apps (which moonlight as de facto taxi companies) are violating City ordinance by illegally accepting payments. 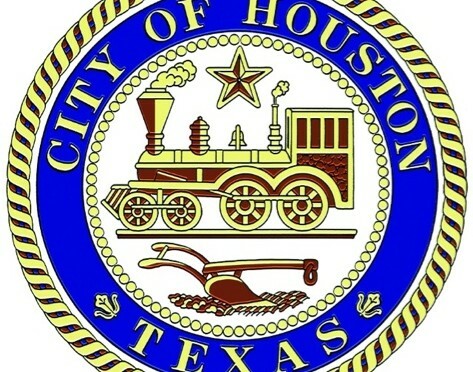 As many will recall, Lyft and Uber recently entered the market in Houston, with the understanding that they could not accept any payment until everything is straightened out, legally speaking, down out City Hall. Lyft tried, at first, to say they did not actually charge for their services but were really “donation based,” but after Mayor Annise Parker made an admittedly epic comparison to streetwalkers, Lyft backed off from that sentiment. The problem with this delicate arrangement is that Uber and Lyft have not lived up to their end of the bargain. Just last Saturday, Dug Begley at the Houston Chronicle delineated the plethora of citations these companies have been receiving in recent days for allegedly operating illegally. 26 citations just in recent days, as of Saturday. Accordingly, the argument shifts to the Taxi Co. who, for better or for worse, must abide by the regulations that are currently on the books. Whether or not you believe that there should be reform of the City’s taxi ordinances, everyone should be united against the overt lawbreaking on the part of Lyft and Uber. Houston’s established cab companies have been quick to criticize Lyft and Uber at every turn because they want the services banned from Houston. And while I totally agree with Texpatriate that it’s wrong to break laws as Lyft and Uber have done thus far, the scrutiny being placed on them is only one side of the story. Since I’ve heard and read so much about them, I decided to give Lyft a try. On one of my very first rides, I heard about an interesting situation. A few weeks ago, after I dropped off a passenger, a cab driver pulled out in front of me. He tried to stop me from leaving. I had to drive through the parking lot and wait on him to leave me alone but of course I drove off as fast as I could. Before that incident, another cab driver got out of his car and yelled obscenities at me. So I decided to stop wearing the mustache to avoid any future altercations. As one of the only females doing lyft in Houston, I feel safer without it. While Mia really enjoys Lyft and has met a lot of fun and interesting people, she also worries about letting cab drivers know that she is associated with the service. Other Lyft drivers have cited similar harassment from cabbies all over Houston. So many at City Hall are hurling critiques at these new companies, is it possible that they’ve forgotten the deplorable state of the status quo? In general, taxicabs break the law far more than I’ve seen from these new groups, even if they’re doing so on a smaller scale. Ted Oberg of Channel 13 news recently reported that the City has become lax in providing proper background checks for cabbies, and we may have more violent offenders behind the wheel than people realize. Whatever Uber or Lyft’s corporate leaders are doing, taxis have no reason to threaten their individual drivers. As Houston moves forward to regulate the newest ones to enter the market, perhaps it’s time we take a step back, and make sure the city’s cabbies aren’t pulling a hit-and-run.